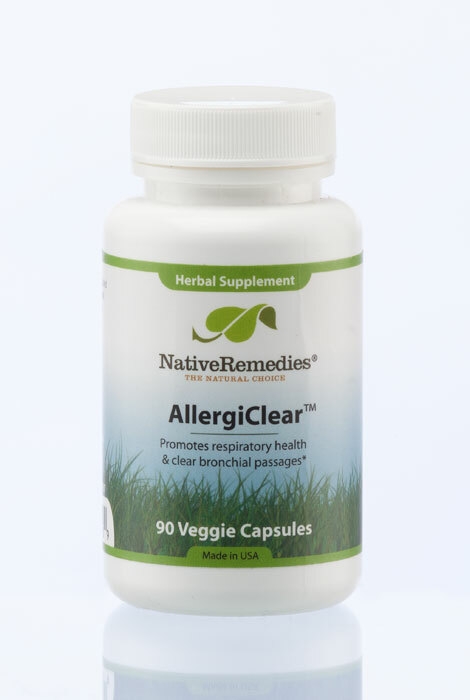 NativeRemedies® AllergiClear™ is specially formulated to support healthy sinuses, clear eyes and normal histamine levels—helping you enjoy the great outdoors in any season! The 100% herbal allergy relief formula works to soothe mucous membranes and reduce watery, itchy eyes, all while supporting a healthy immune system. Utilizing Quercetin, a powerful antioxidant found in fruits, vegetables and herbs, to help block the release of histamine and Eyebright to reduce eye inflammation. Swallow capsules whole with a small amount of water or juice Adults & children 12 and up: take 2 capsules 2 times daily. Children 6-12: take 1 capsule 2 times daily. If pregnant or breastfeeding, ask a health professional before use. Includes 90 capsules. Like all Native Remedies formulas, this allergy supplement is manufactured in an FDA-registered and cGMP-compliant pharmaceutical facility in the USA, under supervision of expert herbalists, naturopaths, homeopaths and responsible pharmacists. I have used this before and it works great on all my allergies.